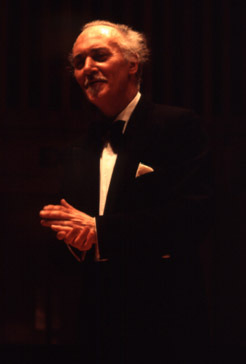 Ronald Stevenson, composer and pianist. This page will soon be added to, and will include articles, information and references about the life and career of this prolific and polymathic figure in Scottish arts, friend of poets, musicians and artists, once aptly described as 'a one-man arts festival'. Meanwhile, here are a few, mostly previously unpublished, photographs from the 1980s and 1990s. 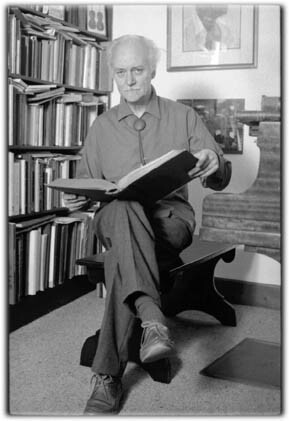 Literature by and about Ronald Stevenson. "Ronald Stevenson: a musical biography" by Malcolm MacDonald. Edinburgh, National Library of Scotland, 1989. ISBN 0 902220 97 7. This is an excellent, sympathetic and detailed (though necessarily succinct at 120 pages), account of Stevenson's life and work, by a well-known writer and broadcaster on music in the UK. "The Paderewski Paradox" by Ronald Stevenson. Klavar Music Foundation of Great Britain, 1992. ISBN 0 9519510 0 9. 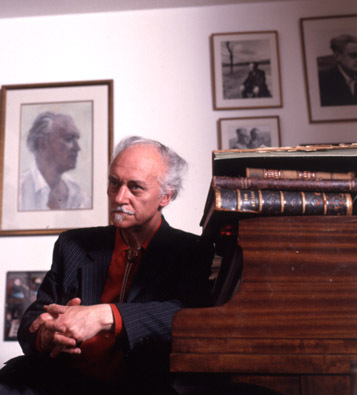 Two essays by RS, introducing two by Paderewski and an extract from "Piano Mastery" by Harriett Brower. Dual publication in one volume in English and French, co-published with the Swiss Paderewski Society. A valuable musical analysis of Paderewski's style as pianist. "Western Music" by Ronald Stevenson. London, Kahn and Averill, 1971. An immensely enthusiastic, highly personal view of music history, tremendously stimulating, and revealing at least as much about its author as his presumed subjects, as might also be said of the similarly quirky and heroically partisan writings of Cecil Gray, Bernard van Dieren, Kaikhosru Sorabji and Constant Lambert. Sadly, long since out of print, though occasionally sighted on Alibris.com and other used-book retailers. 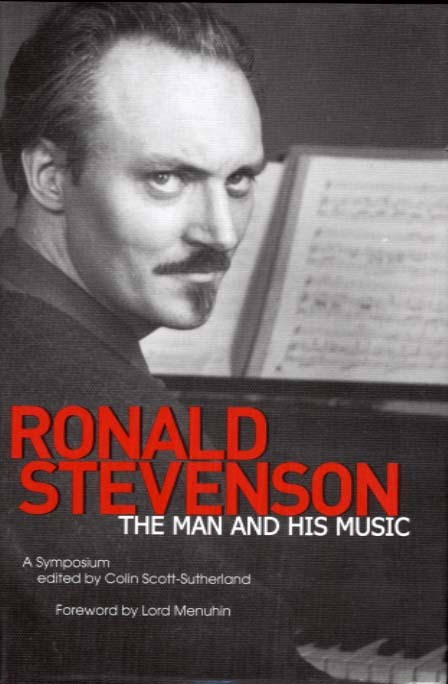 A symposium about Stevenson has just been released [June 2005]) by the enterprising UK imprint of Toccata Press, producer of a range of fascinating and impeccably presented scholarly books on musical subjects somewhat removed from the beaten path. The Ronald Stevenson Society publishes a newsletter which frequently reprints articles by RS, as well as new contributions by him and by other musicians and colleagues, concerning his music. At home, Scotland, early 1990s. to give a recital in Brodick castle. Late 1980s.